Short reviews of recently read books that have filled our days...and nights...with reading pleasure. First up: Goodnight From London! 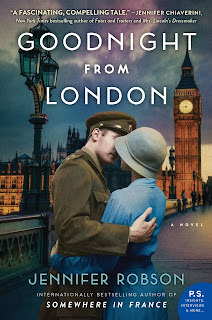 In addition to the background of the Blitz (which went on from September 1940 to June 1941 with regularity), war rationing, battle of the sexes in the workplace, and a number of other things that regular readers of historical novels love to learn and never knew, Robson crafts a thoughtful, loving romance, full of heartbreak and a happy ending, if you could manage to have both simultaneously. Ruby is a spunky but demur kind of heroine, not wanting to take anything she has not rightfully earned and someone who treats people with respect and kindness. Granted, that’s little enough to ask of your average heroine, but Robson’s voice creates Ruby as someone who is definitely a part of her times and setting. This is not a wallpaper type of historical romance, but one that offers thoughtful details and has characters who feel true to the period, while still modern enough to relate to. Bennett is a swoonworthy, Benedict Cumberbatch/Tom Hiddleston Englishman who makes you long to run off to England like Ruby and find one of your own. But he is no cardboard hero. He has a few flaws, and he keeps more than his fair share of secrets. The secondary characters, Ruby and Bennett’s friends, are equally well drawn and I found myself longing for more novels that featured happy endings for them as well. And there were secondary characters, who when lost, I wept as if I’d lost my own friend. I wept at quite a few places because World War II holds a special place for me. I truly believe it was the Greatest Generation in the aspects of community, respect, and bravery exhibited by those who gave their all to overcome real evil. Robson talked about pieces of World War II I was unfamiliar with and which encouraged me to research a bit more. I hope she writes more novels in this setting. I highly recommend and look forward to hearing what you think when you do read it. You have made this book sound like one I must read. Like you, I am an admirer of "The Greatest Generation." Thanks, Hellie! I've had my eye on this book and reading your review makes me that much more excited to read it. Let me know what you think once you read it. The book had book questions and it looks like it would make a good book club book. I have not yet read any of Jennifer Robson's books, but that is going to change. 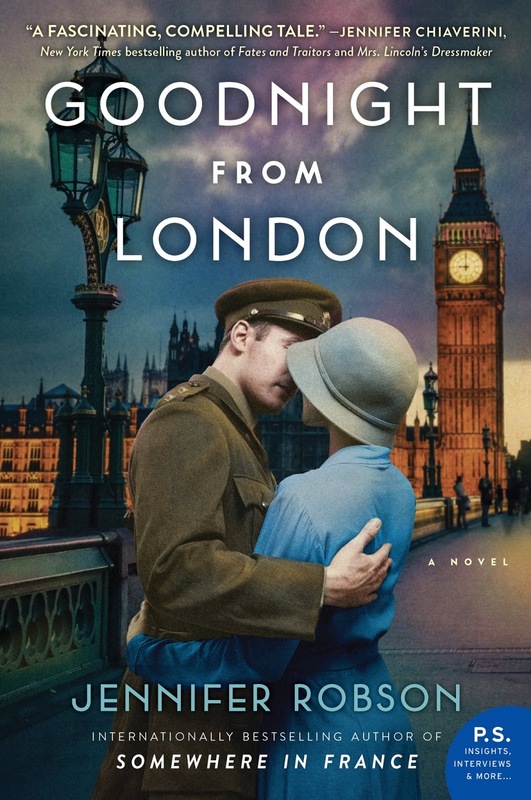 I am so glad more authors are expanding their historical fiction to WWI and WWII. Her book sounds informative as well as being a good romance.